William Strachan received his paralegal certificate from New York University's American Bar Association (ABA) approved program in 1984 with a concentration in business law. He served on the Board of Directors of the Manhattan Paralegal Association (MPA) which was the first organization to represent the interests of paralegals in New York City and forerunner of the NYC-PA.
Bill graduated with honors from Pace University (1993) as an InterFuture Scholar. He received independent honors research fellowships from the University of Ghana, Legon, West Africa. He was subsequently selected for an independent honors research fellowship from the Rijksuniversiteit (National) University van Leiden (Netherlands) and the Gemente (City) University of Amsterdam. Knowledge of how to research from his paralegal studies facilitated his work. He attended the City University of New York (CUNY) Law School for a year and a half specializing in International Human Rights Law. He interned in Alice Springs, Northern Territory, Australia with the Aboriginal Central Land Council focusing on health, land rights, and the Stolen Generation. Paralegal skills were important as they assisted him in Shepardizing the Common Law tradition which also shaped American legal practice and jurisprudence. His advanced studies includes the University of Pittsburgh's Graduate School of Public and International Affairs (GSPIA) specializing in Security and Intelligence Studies with a concentration in Africa and Emergency Preparedness/Disaster Response. He won the University's Cathedral of Learning Prostrednik Memorial Fellowship to assist establishing an anti retro viral program for pregnant HIV positive women in Zimbabwe, Southern Africa. He was lead researcher and secondary editor for “ Anatomy of a Terrorist Attack: An In-Depth Study into the 1998 Bombings of the United States Embassies in Kenya and Tanzania ,” Ridgway Center Publication #2005-17, Spring, 2006. Paralegal experience allowed him to be able to examine the work of members of the team and raise the questions necessary to clarify their theses and reasoning. Additionally he was the Gilbert H. Cope Foundation for Right Sharing of World Resources Independent Honors Research Fellow. He has twice served as a Volunteer In Service To America (VISTA) first in Danbury, Connecticut assisting low income housing tenants, at risk youth, literacy classes at the federal correctional institution with inmates and a critical examination of the circuit court system in bail and sentencing. His most recent tour of service was in Missouri where he undertook emergency preparedness/disaster response planning for seniors, people with access and functional needs, and individuals with disabilities in rural areas. Knowing how to understand the bases for legal rule, regulations, law and protocols made this challenging work not only more rewarding but facilitated cooperation among the different stakeholders he worked with. Bill's professional life has had him live, work and travel extensively throughout North America, Europe, Africa and Australia. He is New York State Department of Education, Vocational Employment Services for Individuals with Disabilities (VESID) certified. He also was cited by the New York State Senate for heroism and continued service in March, 2011. 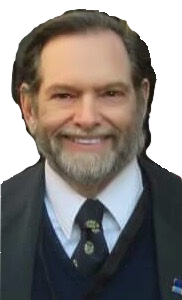 He currently serves on the Board of Advisors of the Joseph E. Frobisher, Jr. American Legion Post 99, Kearny, New Jersey researching legal/medical resources for Agent Orange Vietnam Veterans as well as grant/funding opportunities for veterans organizations. He has served on the civilian side of intelligence support for our armed forces in conflict zones . He is also active in LGBT I Q projects. His avocations have included successfully completing five (5) Boston-Montreal-Boston Bicycle Randonnees (760 miles, 86 hours, 35,000 feet of climbing) in five attempts. He is an ancien of the prestigious, invitation only Paris-Brest-Paris (France) Centennaire Randonnee in 1991. (1.260 Km, 89 heures, 9.450 metres climbing) where he helped represent the United States. Randonnees are controlled, time restricted ultra distance bicycle events.